It really is something that anyone can do. 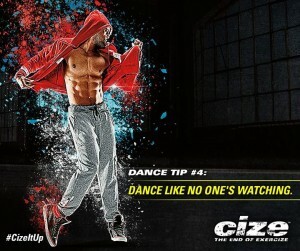 And don’t worry if you feel like you can’t dance because he will TEACH you how to dance and how to have fun doing it! You save over $70 with this special promotion bundle compared to buying each item separately. That means when you buy Shakeology and CIZE in this Challenge Pack, it’s like getting CIZE for $10. 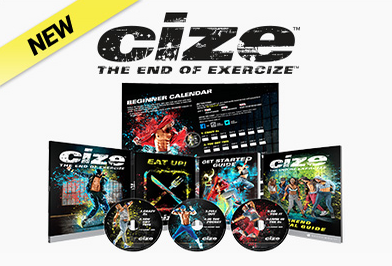 Plus you’ll get the limited-edition CIZE wristband and CIZE/Shakeology Shaker Cup! 35 minutes after pushing play, you’ll master these hip dance moves. At the end you get to perform the routine to HANDS IN THE AIR, originally recorded by Timbaland.